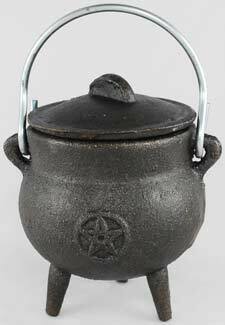 Crafted of cast iron with an embossed pentagram and a small handle on either side and a looped carrying handle. Made in a two part casting process; seams may be visable and rough on some cauldrons. 3" x 2 3/4"